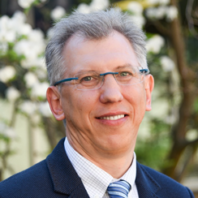 Sergei Y. Tolmachev is an associate research professor at the College of Pharmacy where he directs the U.S. Transuranium and Uranium Registries (USTUR) Research Center and the associated National Human Radiobiology Tissue Repository (NHRTR). The USTUR/NHRTR is funded through federal grants and provides long term follow up of actinide biokinetics and potential health effects in nuclear workers with accidental internal depositions of these elements. Prior to this position, Tolmachev managed the radiochemistry laboratory operations and research in the fields of actinide radiochemistry and mass spectrometry, in support of internal dosimetry and actinide biokinetics research. U.S. Department of Energy, USTUR: Five Decade Follow-up of Plutonium and Uranium Workers, PI. U.S. Department of Energy, Manage and Operate U.S. Transuranium and Uranium Registries, PI. Avtandilashvili M, Dumit S, Tolmachev SY. USTUR whole-body Case 0212: 17-year follow-up of plutonium contaminated wound. Radiation Protection Dosimetry 178(2): 160 – 169; 2018. Suslova KG, Sokolova AB, Tolmachev SY, Miller SC. The Mayak Worker Dosimetry System (MWDS-2013): Estimation of plutonium skeletal burden from limited autopsy bone samples from Mayak PA workers. Radiation Protection Dosimetry 176(1-2): 117-131; 2017. Tolmachev SY, Nielsen CE, Avtandilashvili M, Puncher M, Martinez F, Thomas EM, Miller FL, Morgan WF, Birchall A. The Mayak Worker Dosimetry System (MWDS-2013): Soluble plutonium retention in the lungs of an occupationally exposed USTUR case. Radiation Protection Dosimetry 176(1-2): 45-49; 2017. Puncher M, Birchall A, Tolmachev SY. The Mayak Worker Dosimetry System (MWDS-2013): A re-analysis of USTUR case 0269 to determine whether plutonium binds to the lungs. Radiation Protection Dosimetry 176(1-2): 50-61; 2017. Kathren RL, Tolmachev SY. Natural uranium tissue content of three Caucasian males. Health Physics 109: 187-197; 2015. Avtandilashvili M, Puncher M, McComish SL, Tolmachev SY. US Transuranium and Uranium Registries case study on accidental exposure to uranium hexafluoride. Journal of Radiological Protection 35: 129-151; 2015. Nielsen CE, Wang X, Robinson R, Brooks A, Lovaglio J, Patton K, McComish SL, Tolmachev SY, Morgan WF. Carcinogenic and inflammatory effects of plutonium-nitrate retention in an exposed nuclear worker and beagle dogs. International Journal of Radiation Biology 90: 60 – 70; 2014. Lariviere D, Tolmachev SY, Kochermin V, Johnson S. Uranium bone content as an indicator of chronic environmental exposure from drinking water. Journal of Environmental Radioactivity 121: 98-103; 2013. Nielsen CE, Wilson DA, Brooks AL, McCord SL, Dagle GE, James AC, Tolmachev SY, Thrall BD, Morgan WF. Microdistribution and long-term retention of 239Pu(NO3)4 in the respiratory tracts of an acutely exposed plutonium worker and experimental beagle dogs. Cancer Research 72: 5529-5536; 2012. Lariviere D, Tremblay M, Durand-Jezequel M, Tolmachev S. Detection of beryllium in digested autopsy tissues by inductively coupled plasma mass spectrometry using a high matrix interface configuration. Analytical and Bioanalytical Chemistry 403: 409-418; 2012. Tolmachev SY, Ketterer ME, Hare D, Doble P, James AC. The US Transuranium and Uranium Registries: Forty years’ experience and new directions in the analysis of actinides in human tissues. Proceedings in Radiochemistry – A Supplement to Radiochimica Acta 1: 173-181; 2011. Hare D, Tolmachev S, James A, Bishop D, Austin C, Fryer F, Doble P. Elemental bio-imaging of thorium, uranium, and plutonium in tissues from occupationally exposed former nuclear workers. Analytical Chemistry 82: 3176-3182; 2010. (Featured Article, Webb S. MS maps actinides in exposed workers. Analytical Chemistry 82: 3409-3410; 2010). Lynch TP, Tolmachev SY, James AC. Estimating 241Am activity in the body: comparison of direct measurements and radiochemical analyses. Radiation Protection Dosimetry 134: 94-101; 2009. Analysis of high-fired plutonium oxide and other actinides in MAPEP soil samples. 61th Radiobioassay and Radiochemical Measurements Conference. Iowa City, IA, October 25 – 30, 2015. USTUR case study on accidental exposure to uranium hexafluoride. 11th International Conference on Health Effects of Incorporated Radionuclides, Berkeley, CA, October 13-17, 2013.